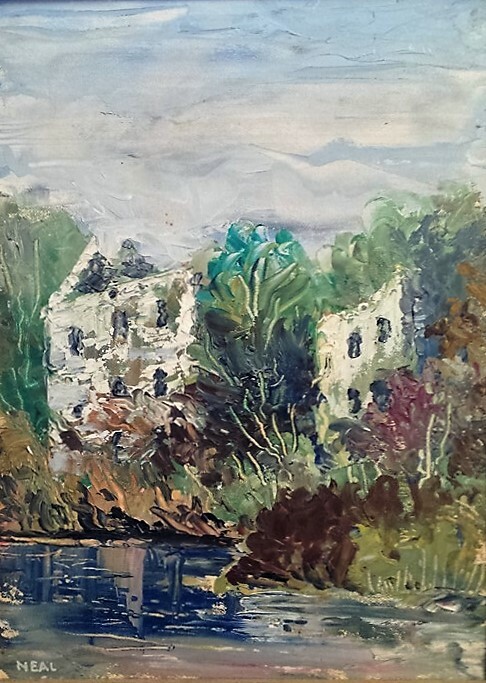 A recent post by my first mentor in photograhy, Ken Steinhoff, reminded me of this painting of an old mill in Perry County, Missouri, not far from my hometown. The stone mill was built in the 1850s to replace one destroyed by a flood, and it burned in 1866. The painting was done by my grandfather, S.P. Neal, probably in the 1960s. A life-long newspaperman, he was also an avid local artist in Southeast Missouri from the 1930s or 40s until his death at more than ninety years old.